The Resolution Run 5k is a benefit fundraiser for the Early Learning Coalition of Lake County. Funds raised are reinvested locally in the School Readiness Program, a Child Care Subsidy Program that provides high-quality early childhood education and childcare. Our goal is to team up with 250 people and help the children of Lake County enter school eager to learn and ready to succeed. Our 3rd Annual Resolution Run (5k and Fun Run Toddler Crawl) will take place Saturday, January 26, 2019, at Clermont Waterfront Park. This year the theme will be Storybook Run. Come dressed as your favorite storybook character! Registration and Breakfast – 7:00 a.m.
5K Race – 8:00 a.m.
Friday, January 25, 2019; 2 p.m. – 6 p.m. Registration and Breakfast starts at 7:00 a.m.
Finisher medal, event bag and event shirt guaranteed for all registered runners as of January 20, 2019. This is a chip-timed event provided by Ultimate Racing Inc. Bronze Sponsor – Brown & Brown of Florida, Inc. 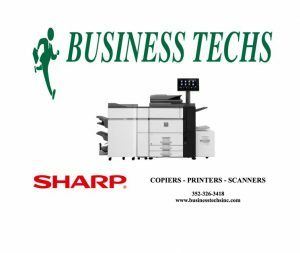 Bronze Sponsor – Business Techs, Inc. Bronze Sponsor – Community Health Centers, Inc.
A COPY OF THE OFFICIAL REGISTRATION AND FINANCIAL INFORMATION MAY BE OBTAINED FROM THE DIVISION OF CONSUMER SERVICES BY CALLING TOLL-FREE (800-435-7352) WITHIN THE STATE. REGISTRATION DOES NOT IMPLY ENDORSEMENT, APPROVAL, OR RECOMMENDATION BY THE STATE. SPONSORED BY THE EARLY LEARNING COALITION OF LAKE COUNTY AND THE STATE OF FLORIDA, OFFICE OF EARLY LEARNING. The Early Learning Coalition of Lake County’s Match Program is Sponsored in Part by the United Way of Lake and Sumter Counties and the Lake County Children’s Services Council.